2017 was such an exciting year for me! 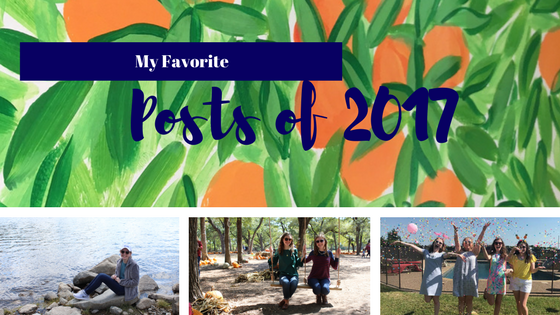 I want to share my favorite blog posts from throughout the year! 1. Pumpkin Picking With McCray- McCray and I had so much fun that day! We had been searching for local pumpkin patches for a while and found this one and spent the day taking pictures. It was so hot and we wore warm clothes because we wanted to take fall pictures and we were sweating the whole time! It was kind of miserable but fun at the same time! 2. Tips for Becoming a Company Rep- I was really proud of this post and a lot of you liked it too! The photo shoot for that post was a ton of fun and I felt like it was really helpful. Looking back, I think a lot of the tips I shared aren't very accurate anymore so maybe I'll post an updated one soon. 3. Adventure Awaits- OOTD- Sarah, McCray,and I took these pictures the day I got my license and I was so scared to drive to the location of the photo shoot. It was mid June and it was over 100 degrees outside and it may not look like it in the pictures but we were melting. We did about four outfit changes in our hot cars and I remember some of the shirts they sent us were kind of small so we had a really hard time changing outfits. It was definitely a fun day! 4. Hoppy Easter!- I really like this post because taking the pictures was so much fun! Jadelynn Brooke was holding a rep contest for the best Easter photos so my dad, MB, and I loaded up the car with fun props, all the camera equipment, and the bunny and headed to the lake that is by our house. We went to different locations around the lake and had fun introducing Mr. Beasley to everyone who passed by. 5. Colorado Travel Diary- The Colorado trip my family took over the summer was a last minute thing. I talked my mom into squeezing in one last vacation before we had to go back to school and I think we booked our vacation house just a week before the trip. It was so much fun that my parents plan for us to go every summer from now on! I had only been to Colorado one time before and that was with my friends in middle school and we were in the middle of Denver so this time it was very different being in a cabin on the side of a mountain. 6. Hues of Blue and Hints of Gold- OOTD- To be completely honest I don't think the pictures in this post are very good, it was a last minute thing to take pictures that day and we were done in about five minutes. I like it because I was really happy with the header picture, the title of the post, and I really liked my outfit. 7. A Day at the Mall!- My friends and I had so much fun that day! My mom dropped us off at the mall and we spent the whole day shopping and trying on fun clothes! 8. A Day at Crocodile Encounters- That day was very interesting to say the least. We found a crocodile farm online and we went and it was in some one's backyard!! It was very sketchy and I was pretty sure I was going to get eaten that day. It was fun and we got to feed lots of different animals. 9. 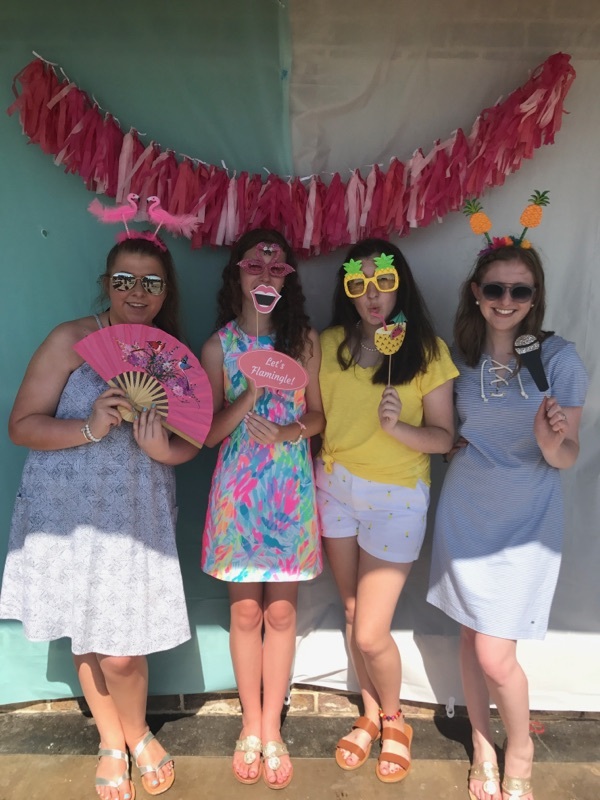 McCray's Sixteenth Birthday Party- McCray's birthday was so much fun! We all dressed up and took pictures and played games. She did such a good job with the decorating, I loved it! 10. Dressing Room Try Ons- I introduced the dressing room try on posts in early 2016 and everyone seemed to like it! I made a second one a year later and I was really happy with it and I hadn't seen anyone do this type of post before which I liked. Now they are one of my favorite posts to write!